Do you ever get really thirsty for more worship? We set aside 3-4 nights a year to have extended times of 90 minutes to 2 hours of deep soaking in God’s presence! There is a special anointing at a packed house of people who have come to seek the Lord with their whole heart in extended worship. In addition to worship music, these services afford everyone, members and visitors alike, with times of special ministry involving our excellent and trained Healing and Prophetic Teams. Our Nights of Worship are held 3 to 4 times each year on Thursday evenings and are announced ahead of time at regular services and via social media (Facebook, etc). 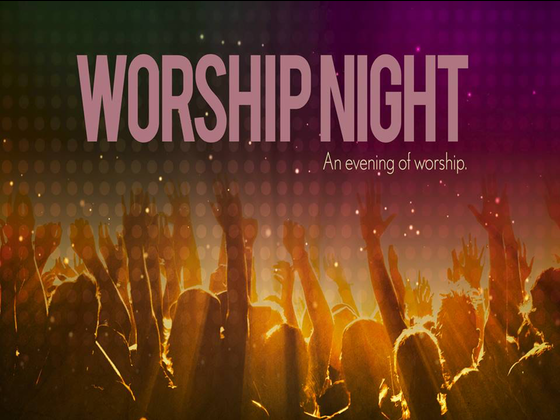 We can't wait to worship with you at the next Night of Worship!